You are at:Home»Training»A lesson in levitation? At first glance, it looks like Staff Sgt. Sylvester McKinnery has mastered body and mind and somehow managed to levitate off the ground. But no. The Corps has not (at least not publicly) revealed any such telepathic PME. 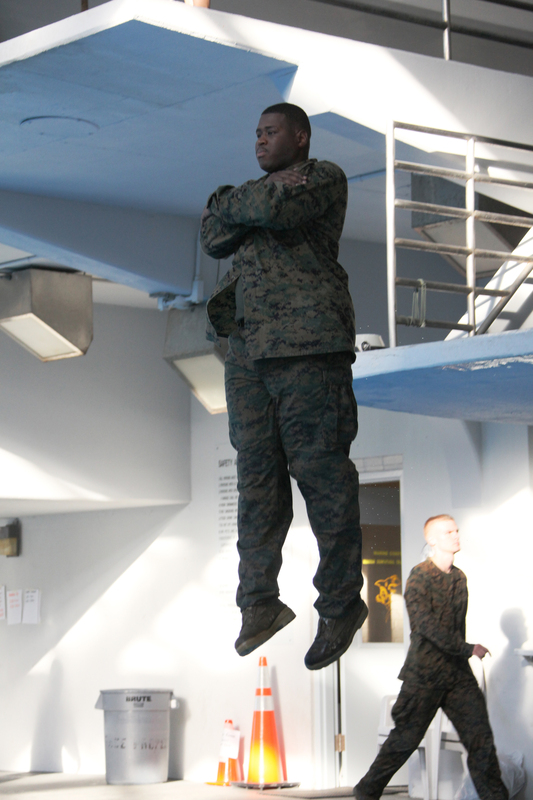 McKinney, the data chief with the 22nd Marine Expeditionary Unit, is actually mid-fall from a diving platform at Camp Pendleton, Calif. McKinney and his fellow Marines were taking part in the new Marine Corps Water Survival Training Program, and photographer Lance Cpl. John M. Raufmann captured this moment in time. So, have you taken the new course? What’s your take on the program?